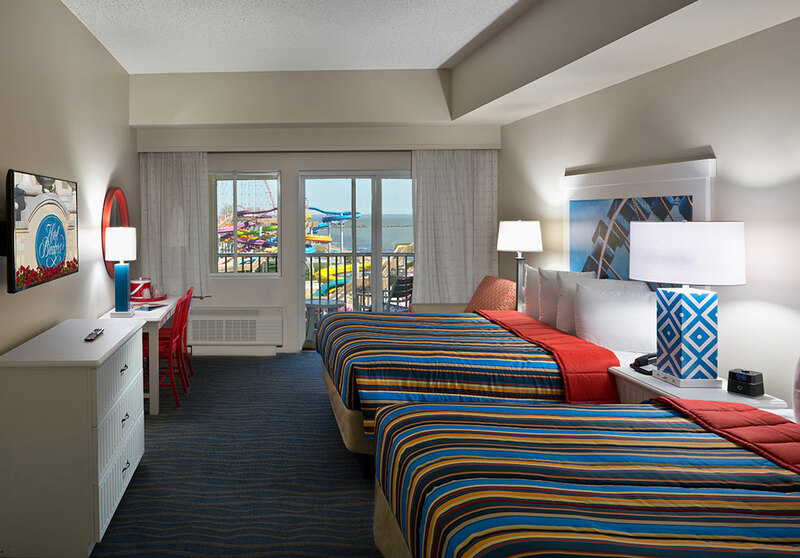 Hotel Breakers at Cedar Point - PRIME AE Group, Inc.
Steps away from Cedar Point and Cedar Point Shores Water Park on the shoreline of Lake Erie, Hotel Breakers at Cedar Point provides convenient access to sun and fun. Built in 1905, this historic property has undergone many renovations to increase the appeal of the hotel and its offerings. 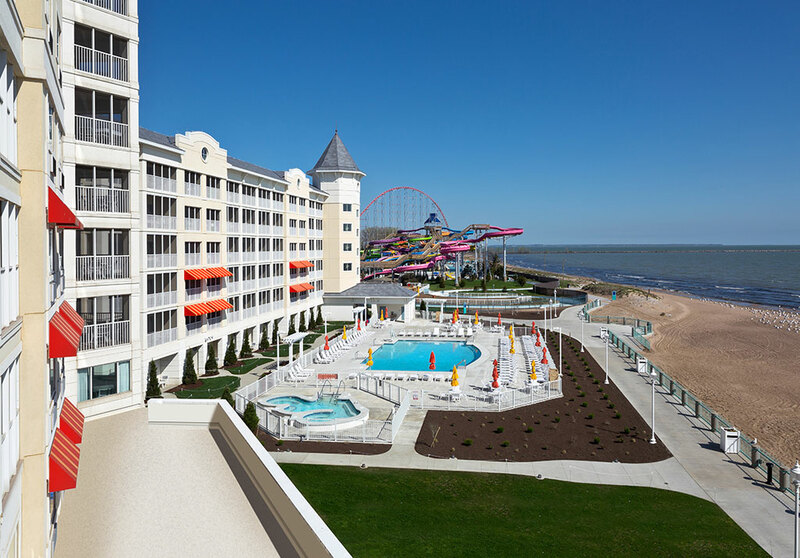 The latest included an extension of the existing boardwalk, along with an outdoor pool and spa which overlook the boardwalk and beach. 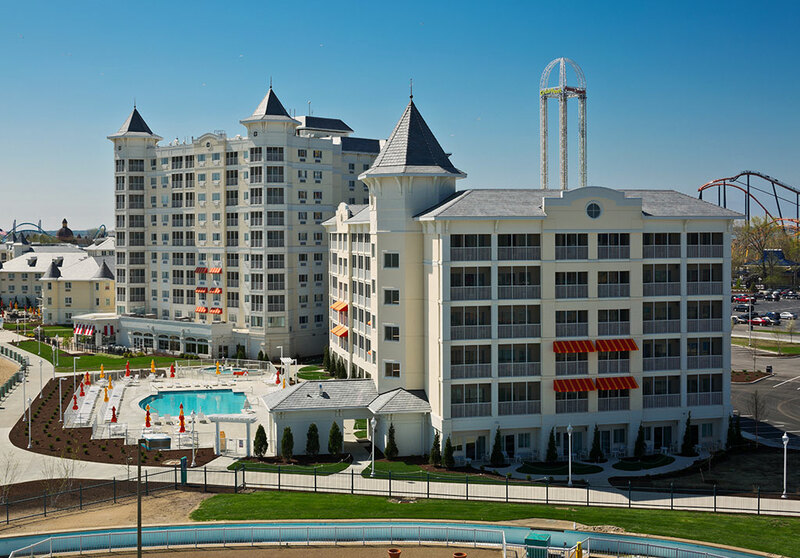 The hotel design is reminiscent of turn of the century traditional beach front architecture with its eyebrow facades, Victorian turrets, and colorful awnings. Screened-in balconies line the north and east façade, offering views of Lake Erie and the waterpark to the North. An architectural feature is the 5-story rotunda.